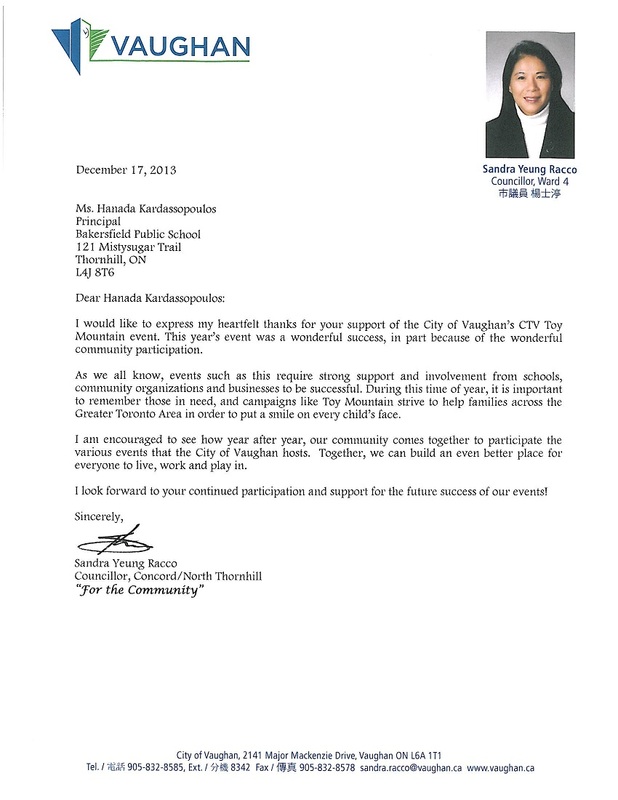 We’ve received a letter of thanks from Sandra Yeung Racco, Councillor, Ward 4, for our school’s support of the City of Vaughan’s CTV Toy Mountain event. As much as we appreciate this recognition, the thanks really should go to our thoughtful community, who gave so generously this past holiday season to help families in need across the Greater Toronto Area, helping to put a smile on every child’s face. You can read the letter here.